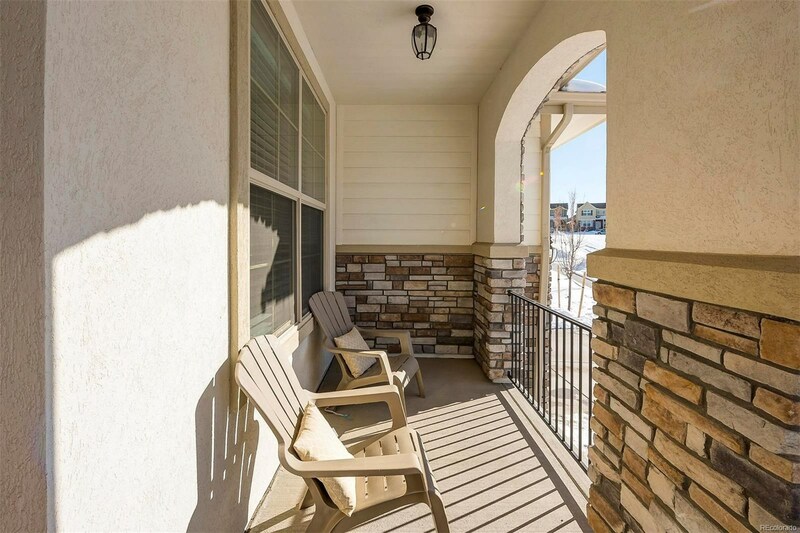 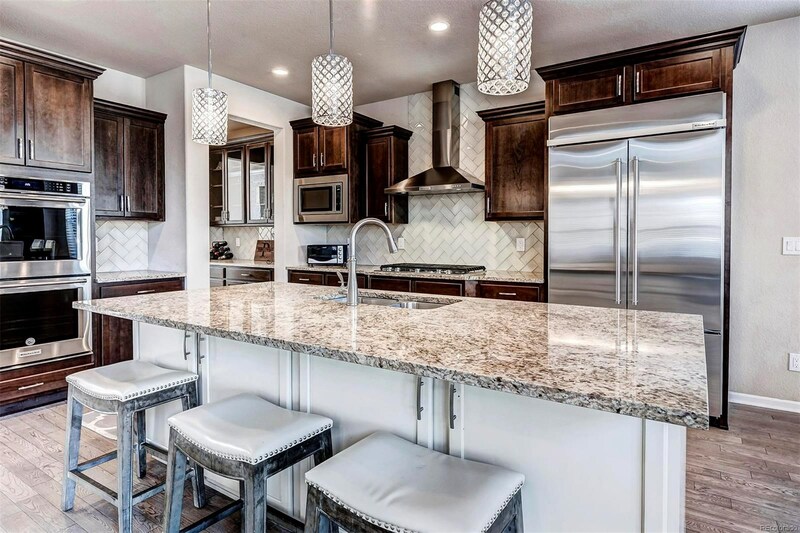 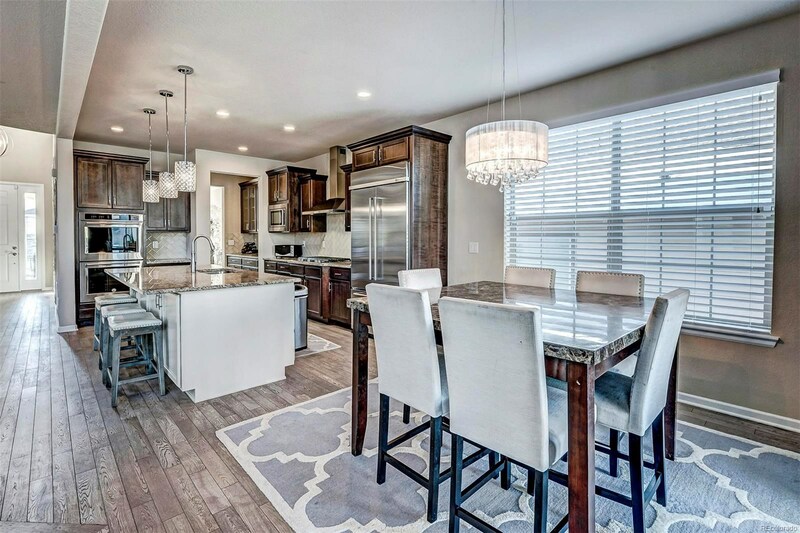 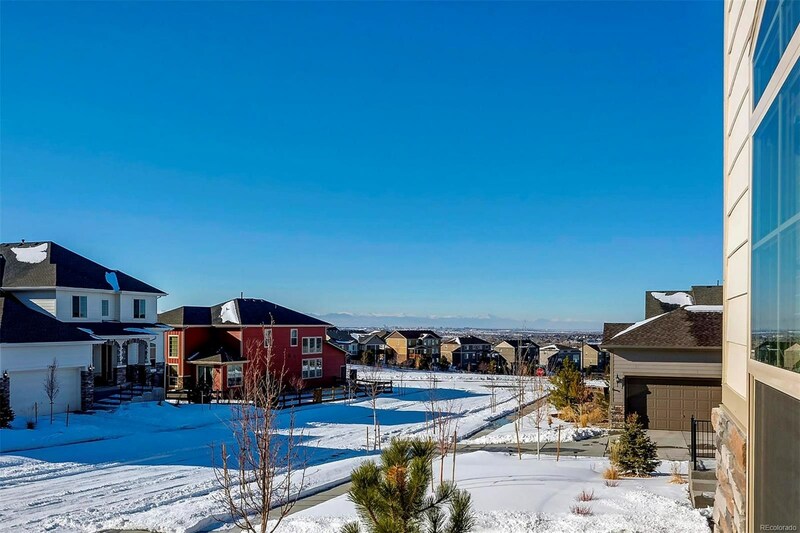 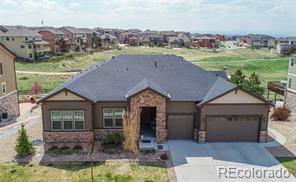 This Beautiful Toll brothers Yuma II home that has the finest builder upgrades along with the homeowners personal touch.Has a West facing lot with amazing mountain and unobstructed views of downtown Denver. 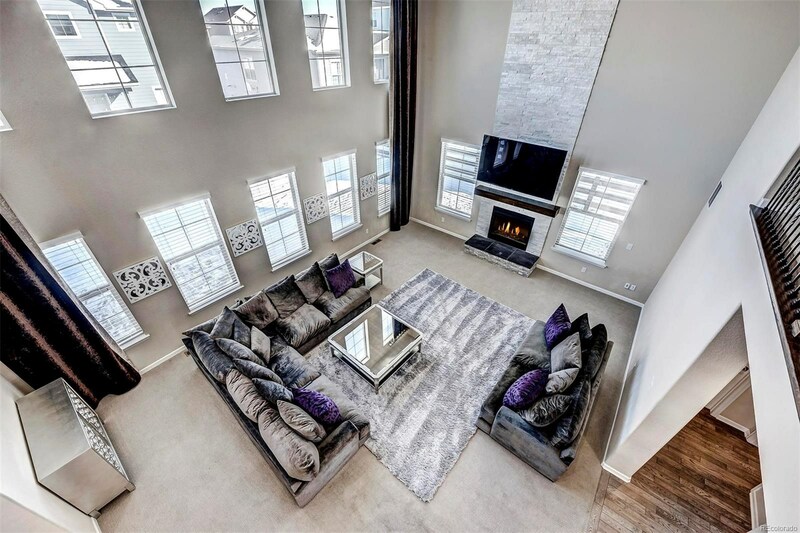 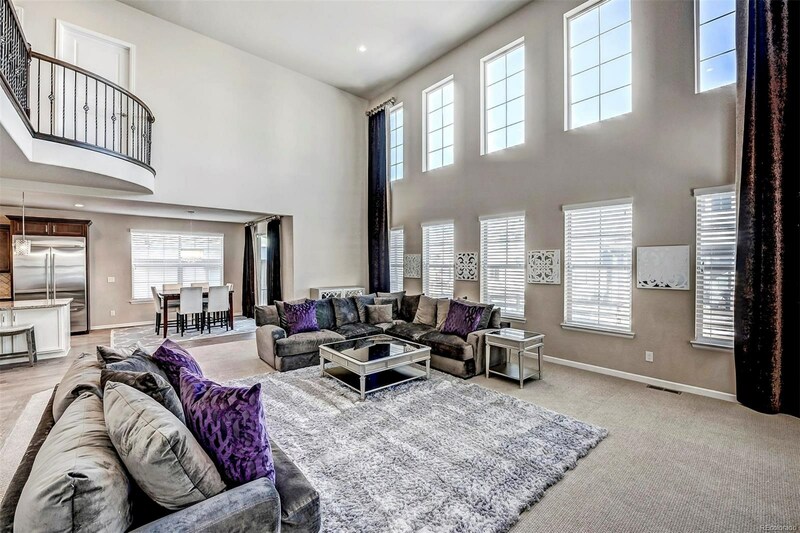 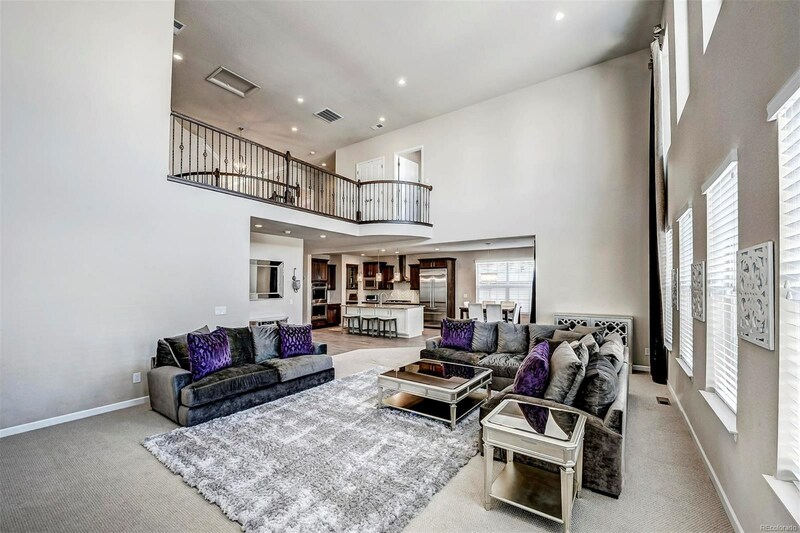 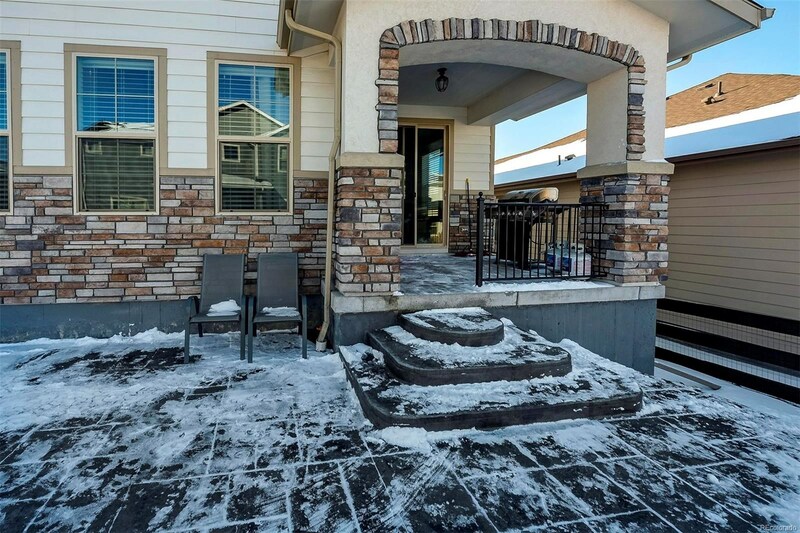 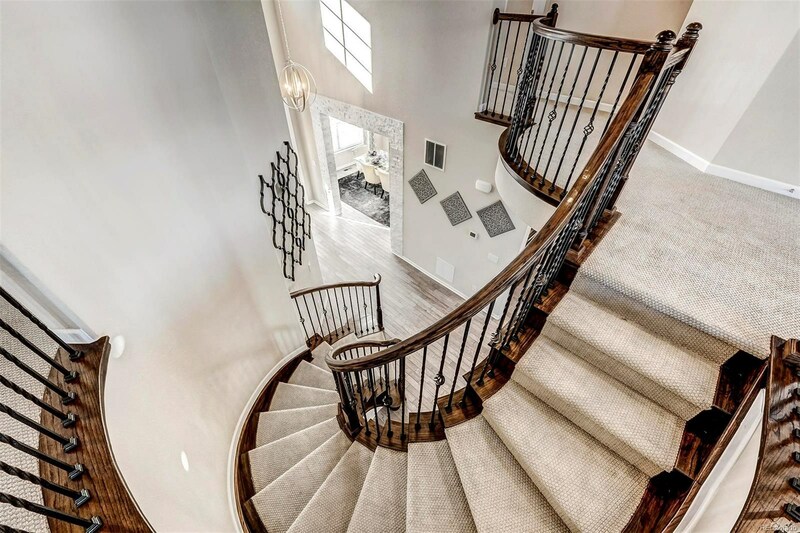 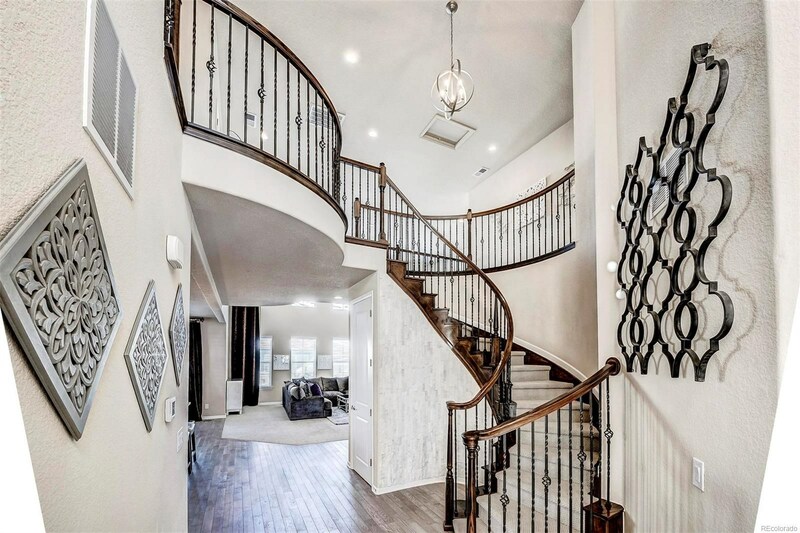 Enjoy the 2 story foyer entrance leading you to grand spiral staircase w/custom iron spindles and elegant white stack stone in arch way to the formal dining that has spectacular downtown views. 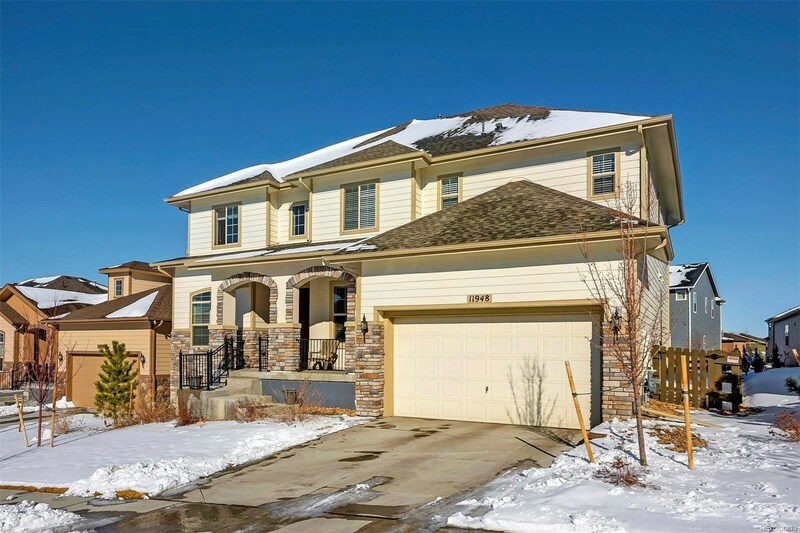 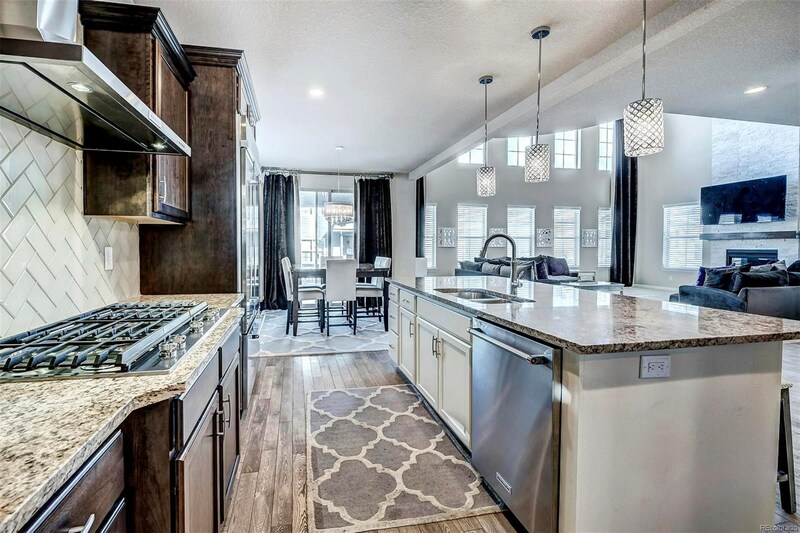 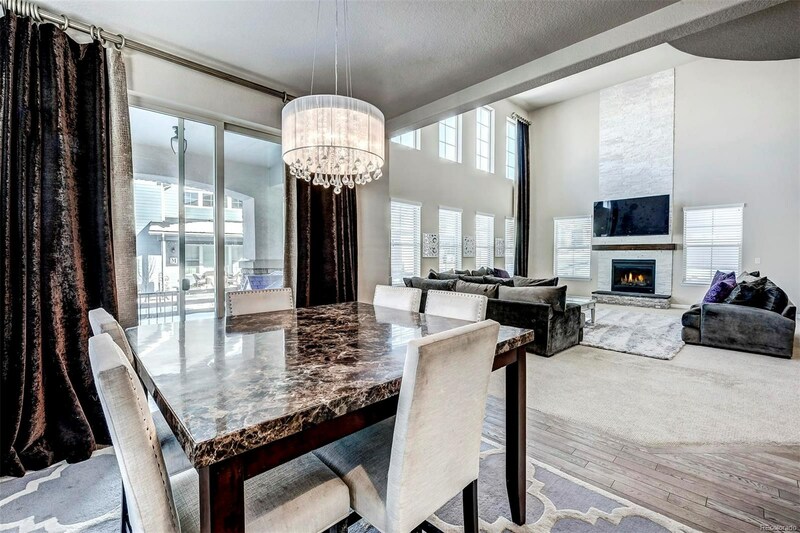 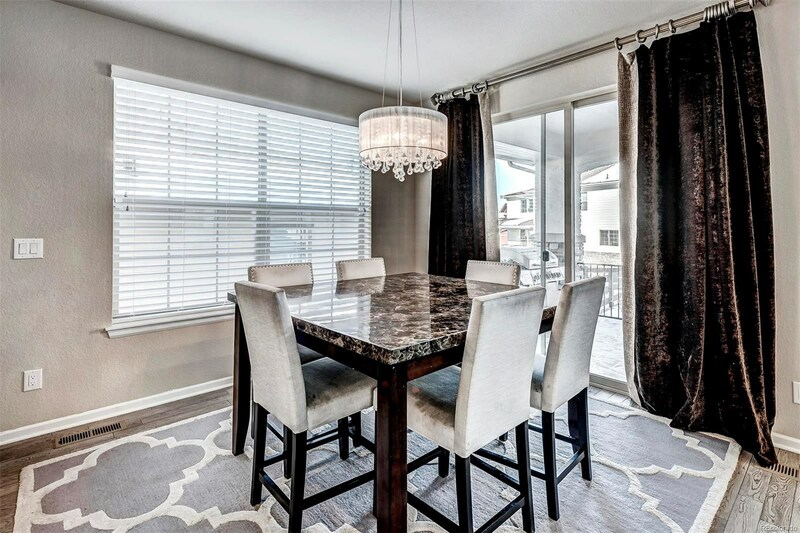 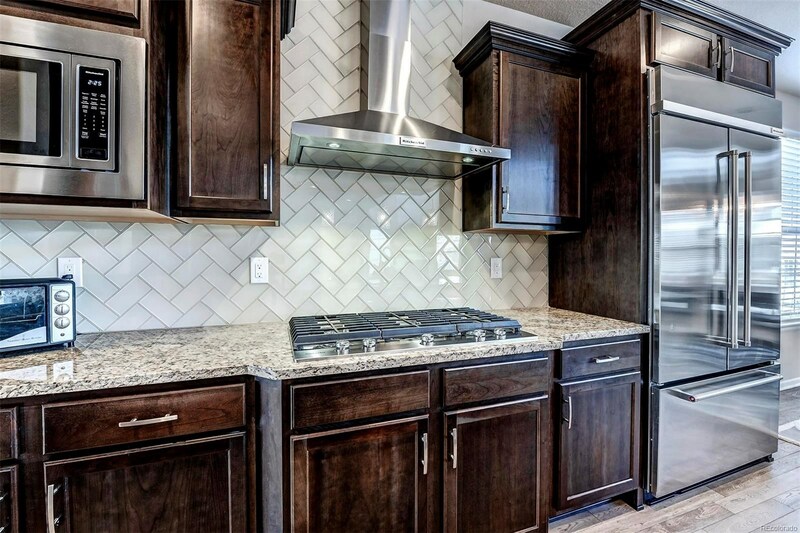 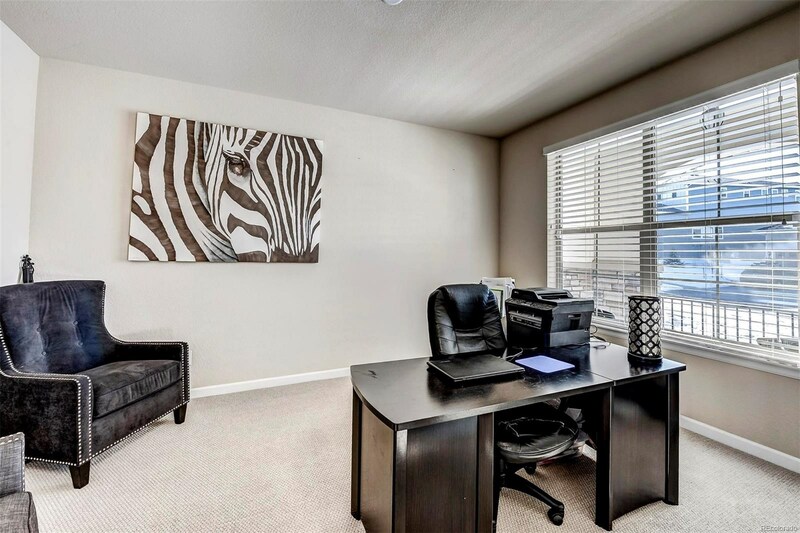 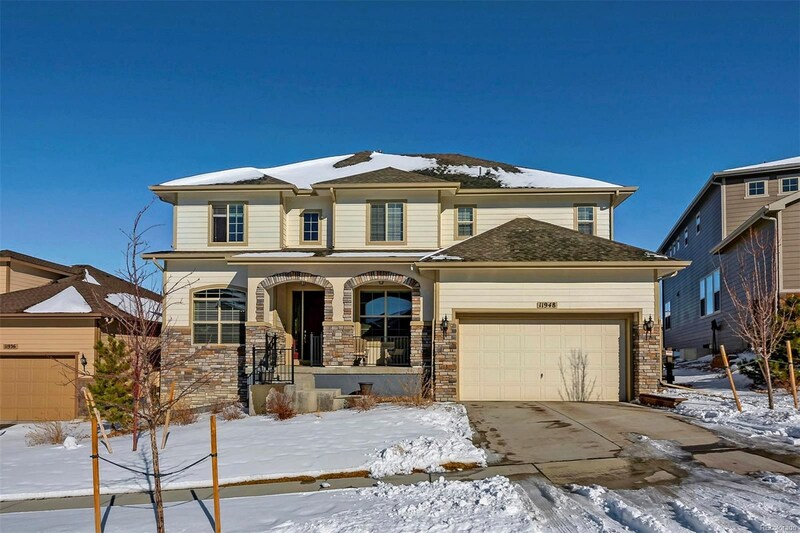 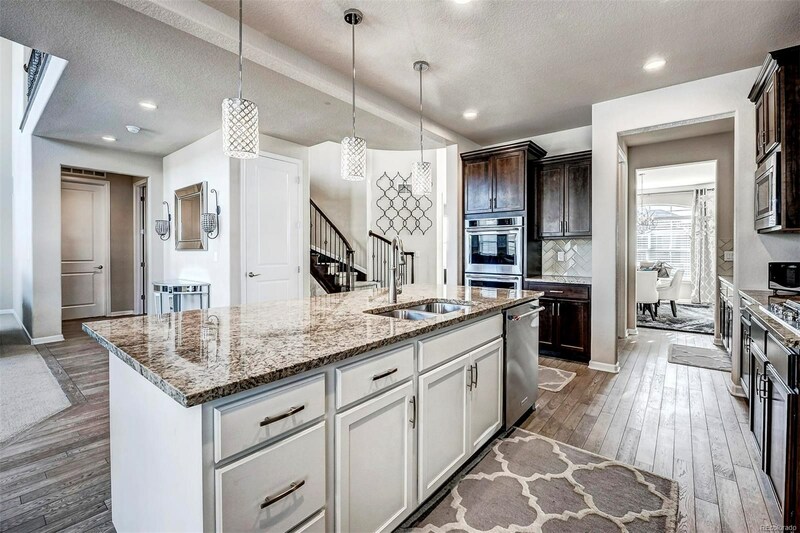 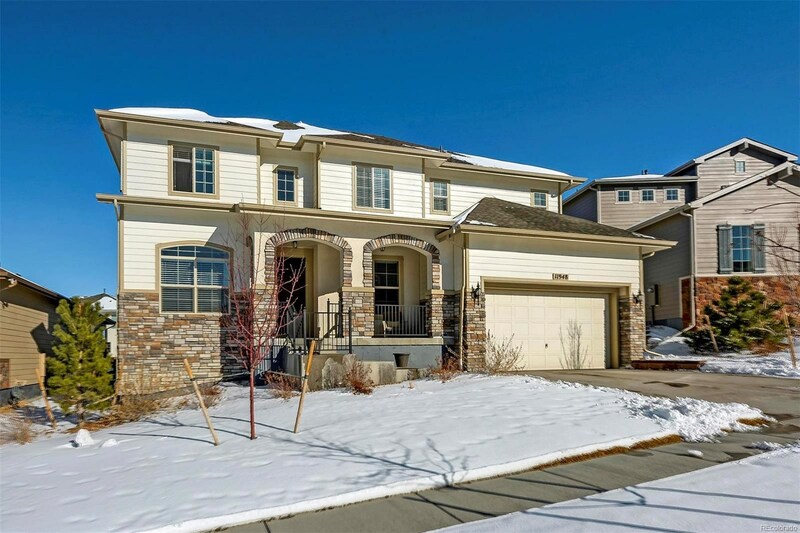 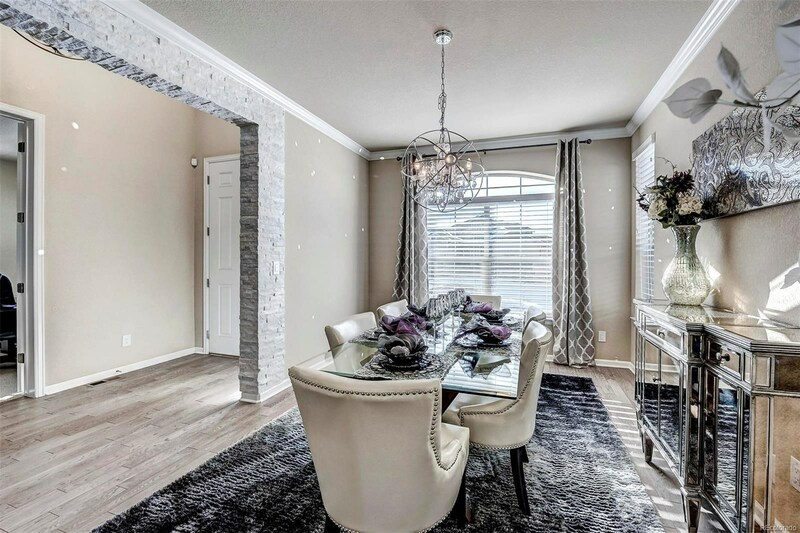 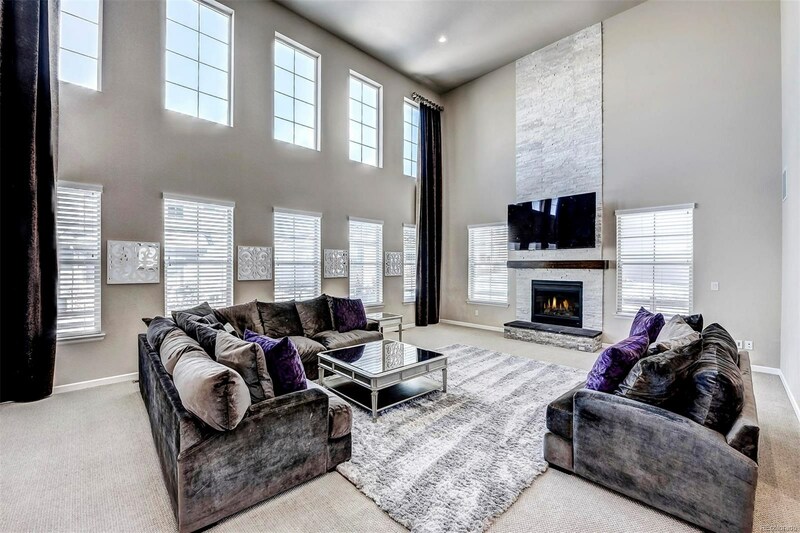 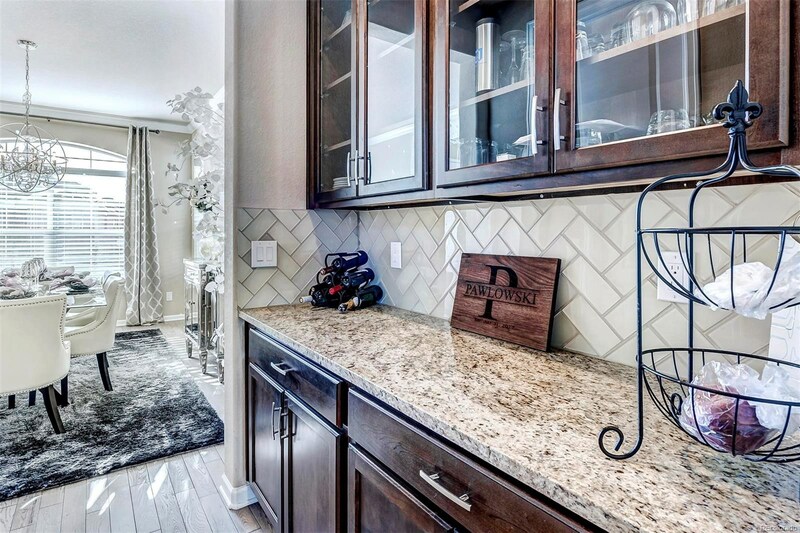 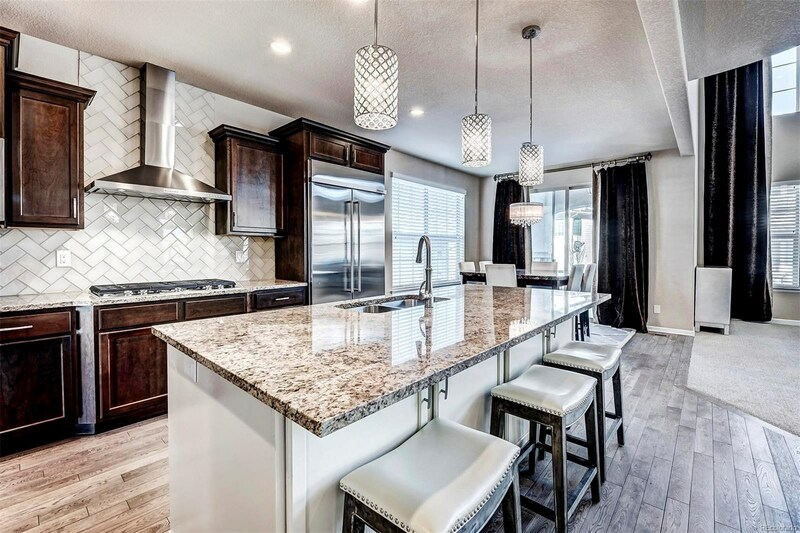 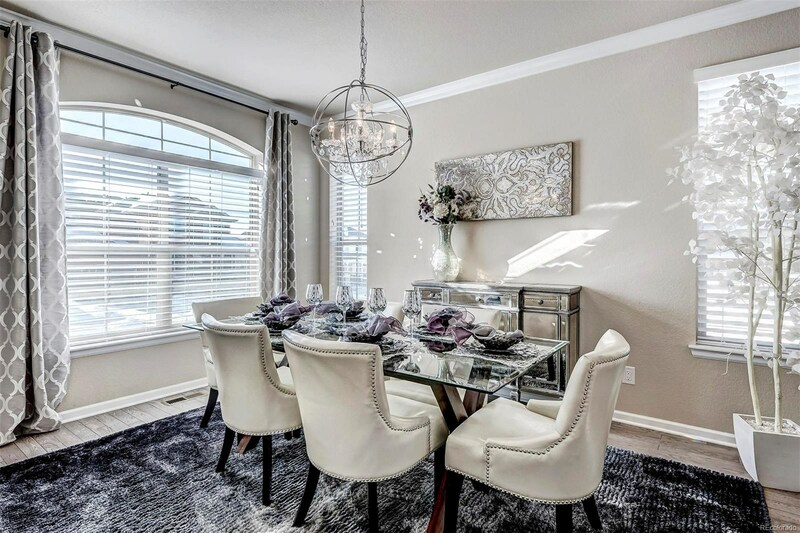 Private butler pantry.Beautiful gourmet kitchen w/oversized cabinets w/ crown molding, large center island w/subzero custom fit fridge that looks in to the oversized vaulted 2 story living room, Perfect for entertaining. 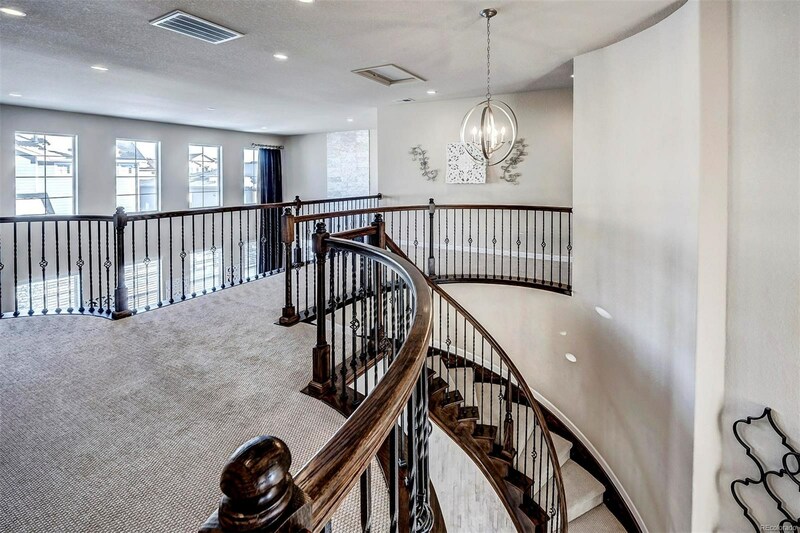 Custom elegant lighting all throughout. 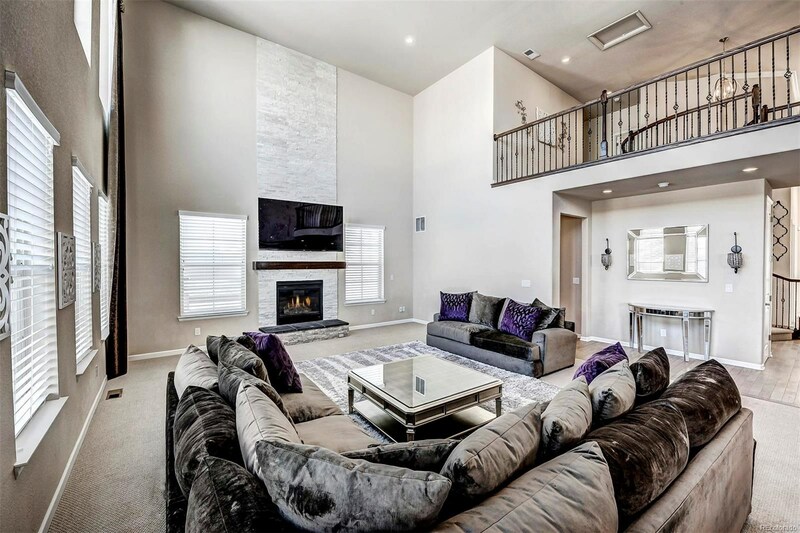 2 story white stacked stone fireplace. 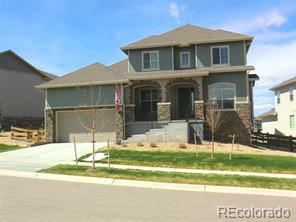 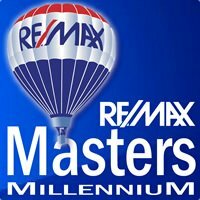 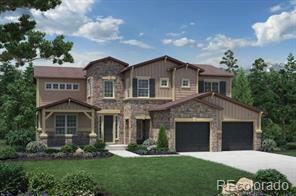 Beautiful hardwood throughout lower level.Custom glass tile in half bath. 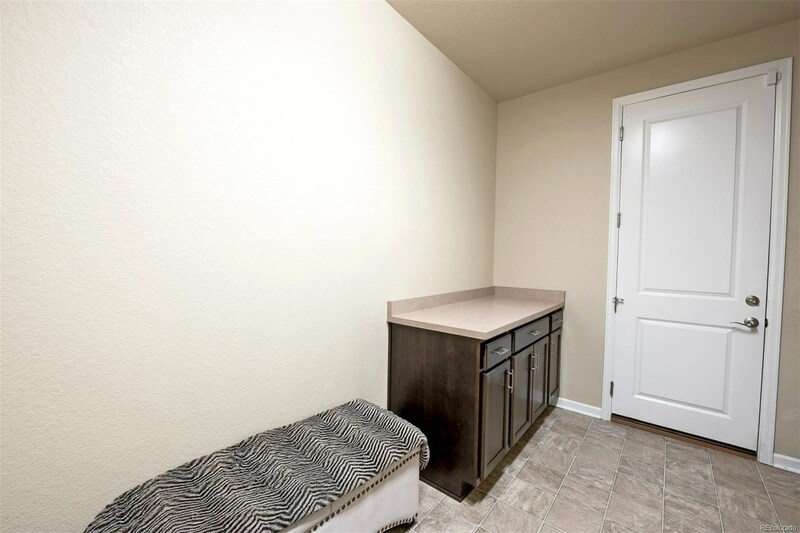 Oversized laundry/mudroom. 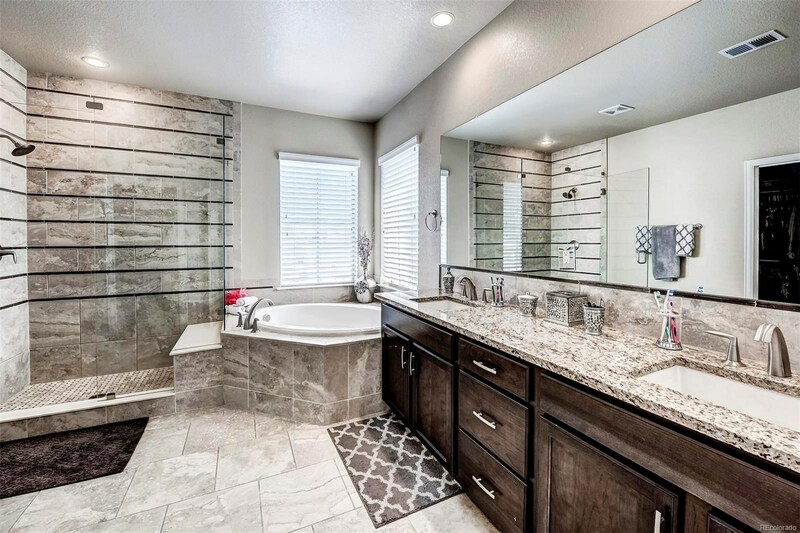 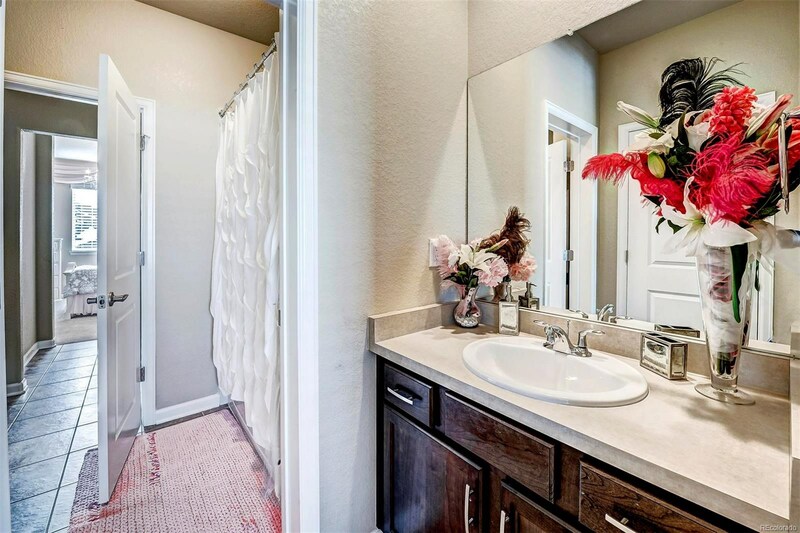 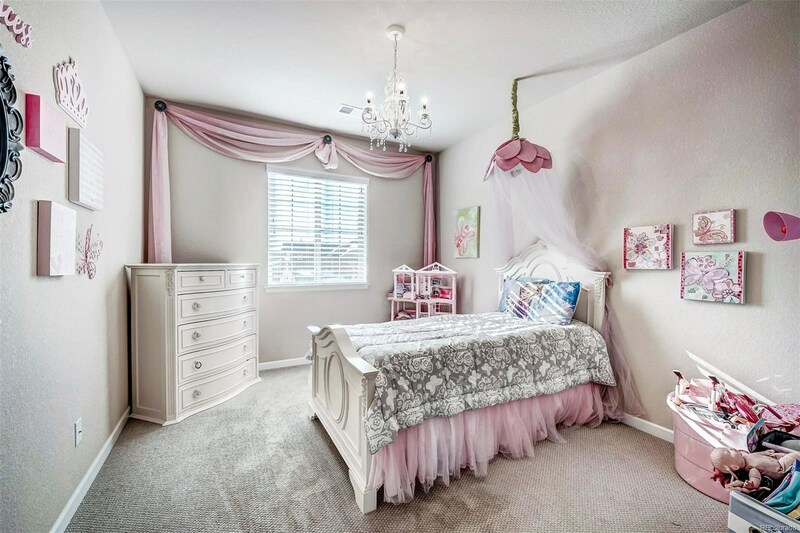 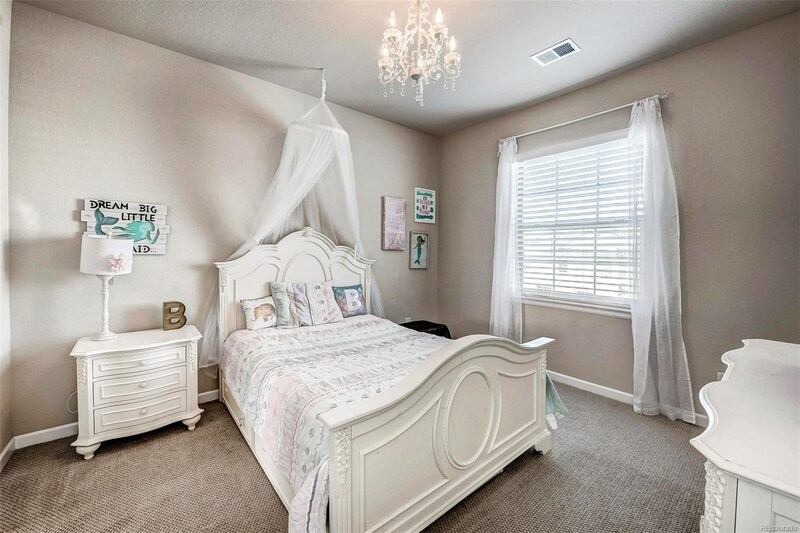 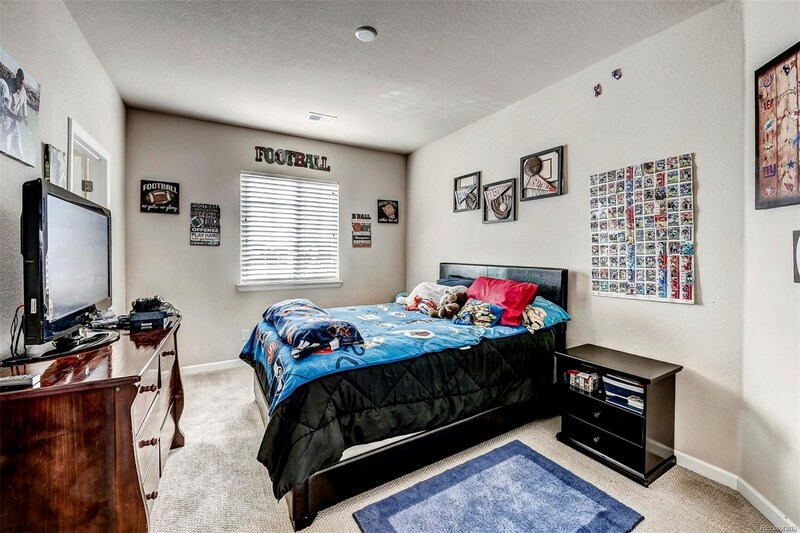 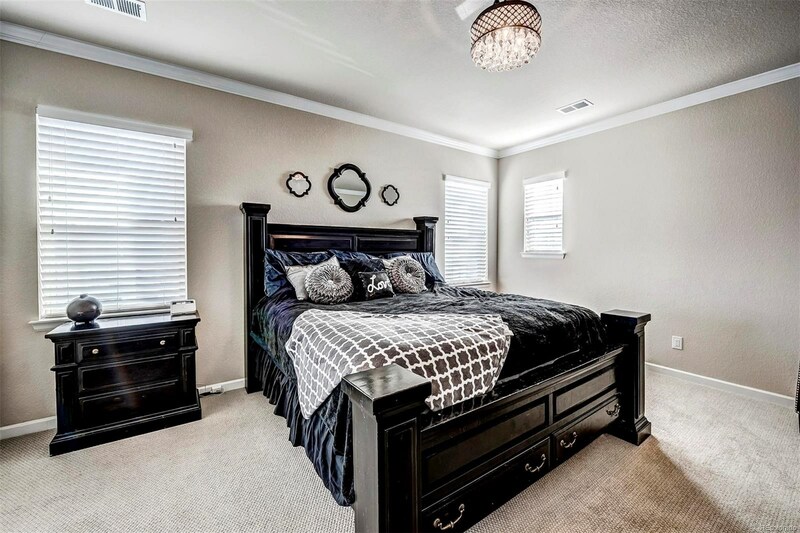 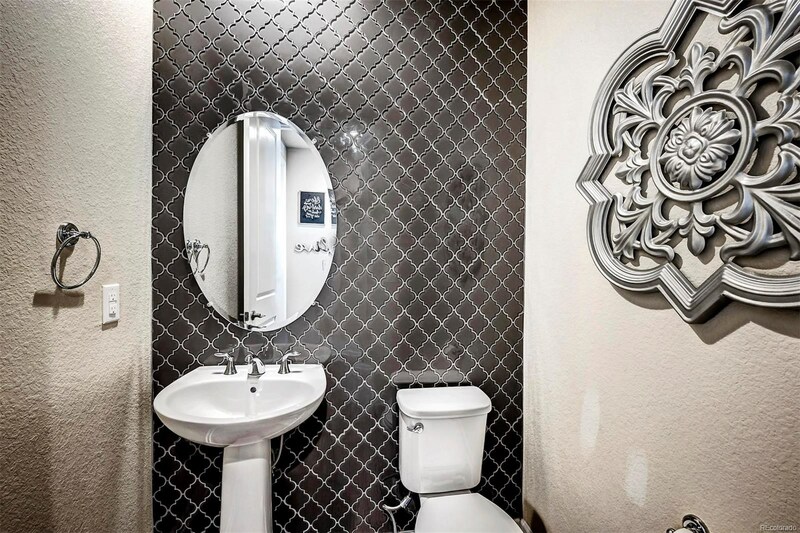 Upstairs has Jack and Jill bathroom with private vanities, oversized master bedroom/bathroom, huge walk-in closets.Stamped concrete patio with large back yard. 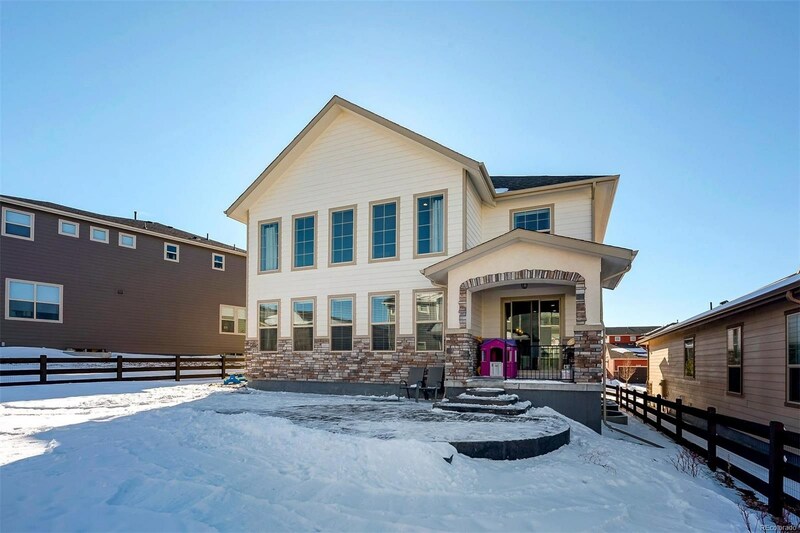 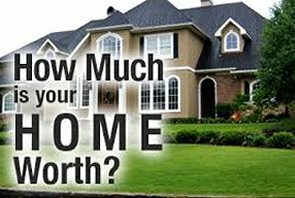 This home is one-of-a-kind and a must see!